I teach a course on the Holocaust, so I’ve had ample opportunity to confront the use of euphemisms by the Nazis to cloak their murderous intent. The most infamous euphemism was “the final solution to the Jewish question,” which of course refers to the mass murder–the extermination–of all Jews everywhere. But there were many other euphemisms, to include “evacuation” and “resettlement” for the shipment of Jews to death camps in Poland. Such coded language was intended in part to deceive the Jews, but it was also an exercise in self-deception (or self-desensitization, perhaps). The Nazis, in other words, deflected some of the horrors of their murderous activities by thinking of them in banal terms. The banality of language helped to make possible the “banality of evil” exercised by Nazi functionaries like Adolf Eichmann. He was just “removing” and “resettling” Jews, or so he may have preferred to think (when he thought at all). Comparisons between Nazism and other systems are always difficult and often tendentious. Godwin’s Law suggests that Internet debates often degenerate to name-calling in which Nazi analogies, carelessly applied, are trotted out in an attempt to triumph over one’s opponent. It’s a good law to keep in mind. Yet it’s remarkable to me the proliferation of euphemisms in U.S. military and political discourse. “Enhanced interrogation techniques” for torture. “Extraordinary rendition” for kidnapping. “Collateral damage” for the death of innocents (often children) in combat operations. Guantanamo Bay as a “detention camp” for “detainees” rather than a prison (or concentration) camp for prisoners. Even the “global war on terror” was rebranded in 2009 as “overseas contingency operation,” as if one can deny the deadly realities of war simply by changing the name. 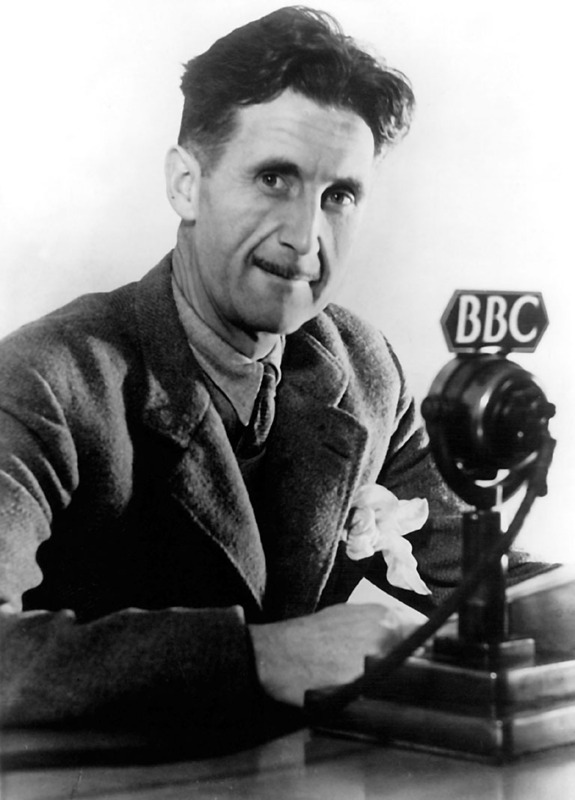 George Orwell warned us about the political uses of language in his famous essay from 1946. We ignore his warning at our peril. Cloaking violent, even murderous actions in banal language may make a few functionaries sleep easier at night. But they should make the rest of us profoundly uncomfortable. Torture is torture. Kidnapping is kidnapping. Dead infants are dead infants. War is war. And extermination is extermination. Employing euphemisms is not just an exercise in banality of language; it’s often a betrayal of humanity. Posted on November 6, 2013 by wjastorePosted in Literature, US Politics, warTagged banality of evil, collateral damage, enhanced interrogation, euphemism, extraordinary rendition, George Orwell, Godwin's Law, Hannah Arendt. Shall we add “Hope and Change” to the litany of euphemistic political speech also.? Euphemisms for the evil of abortion [i.e., the deliberate killing of an innocent preborn baby]: reproductive choice, reproductive health, woman’s decision, pro-choice, termination of a pregnancy, medical procedure, pregnancy loss, unintended conception, a difficult decision, only a fetus, mass of tissue, failed contraception, planned parenthood. You left out “Rhythm Method,” the failed favorite of the Catholic Church. Good thing it had a dodgy record, else I might not be here!